It’s also known as the Temple of the Dioscuri (from the greek Dios Kuroi: Children of God), Castor and Pollux were the twin sons of the god Zeus and Leda. 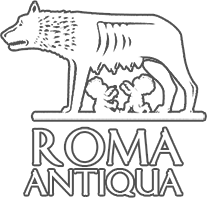 The Legend says that during the battle with the Romans against the Latins at Lake Regillo (south of Rome) in 499 BC, the two mysterious and divine twins appeared riding a horse and that, immediately after, the same riders were seen watering their horses at the Spring of Juturna in the Roman Forum announcing, in this way, the victory of the Romans and then they disappeared. 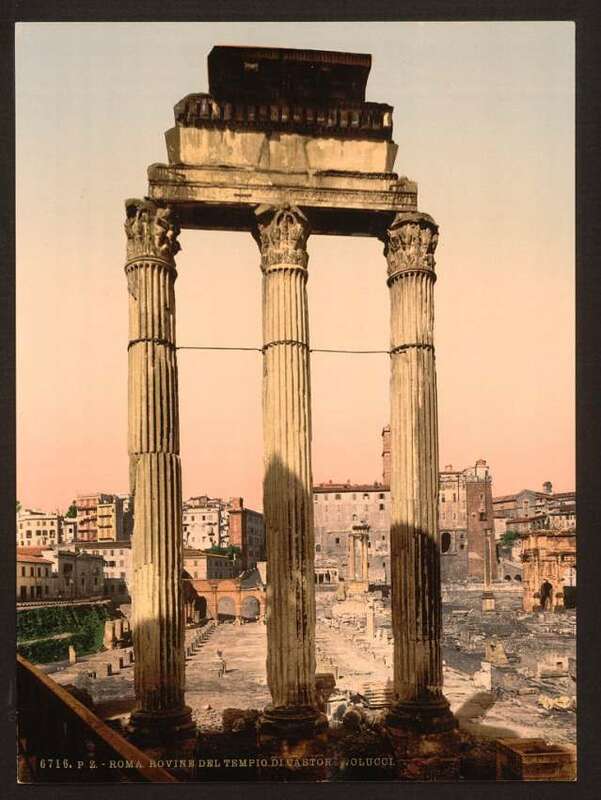 The people of Rome recognized in them the Dioscuri, and for this reason the dictator Aulus Postumius Albino erected a temple in their honor; the temple was built in 484. It was a temple of italic type, with three cells (three small rooms) and a deep pronaos (outer side of the cell where the walls ended with pillars), where the Office of Weights and Measures of Rome was established; it was the office that fixed money exchange. Two small lateral staircases allowed access to the front of the basement (base on which the building was built) which was probably adorned with beaks (decorations that reproduced ship bows ). In the front there was a podium, where took place some relevant episodes of the history of the Republic. Here, in fact, Julius Caesar summoned the agrarian law, and it was here that he met the Senate several times. It was here that the fathers officially gave the name to their children. It was also used as a forum of presidential legislative meetings that were held in the square outside, and there were stores of bankers. At the east of the temple there was the Spring of Juturna; its waters were considered healthy. The temple was restored several times. The first restoration work was done by Caecilius Metellus Dalmatian in 117 BC and then again from Verre. The last one was executed after the fire of 12 BC by the emperor Tiberius. A new temple was built in the year A.D. 6 of which the remains are still visible. A marble block of the temple was removed in the mid 1500 and used as the basis of the equestrian statue of Marcus Aurelius located in Piazza del Campidoglio. ⇒ Talking statues and the "Madonnelle"